Now Available !! 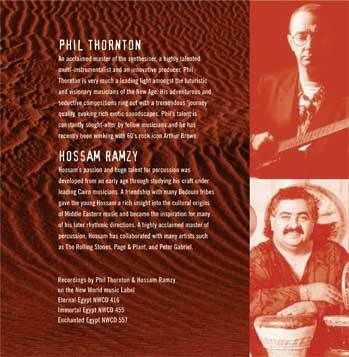 More of the wonderful music from globally acclaimed Hossam Ramzy and Phil Thornton, handpicked by Amira for your Bellydancing pleasure. An acclaimed master of the synthesiser, a highly talented multi-instrumentalist and an innovative producer, Phil Thornton is very much a leading light amongst the futuristic and visionary musicians of the New Age. 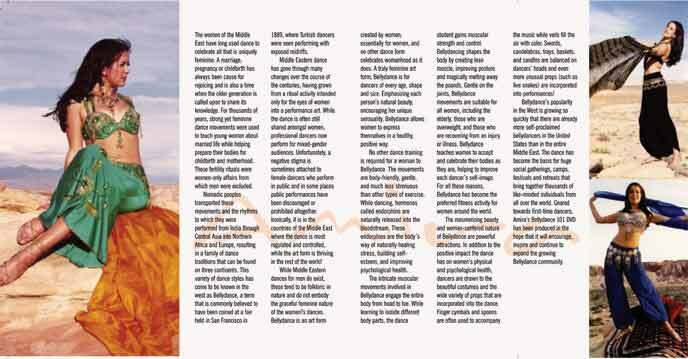 His adventurous and seductive compositions ring out with a tremendous ‘journey’ quality, evoking rich exotic soundscapes. Phil’s talent is constantly sought-after by fellow musicians and he has recently been working with 60’s rock icon Arthur Brown. Hossam’s passion and huge talent for percussion was developed from an early age through studying his craft under leading Cairo musicians. A friendship with many Bedouin tribes gave the young Hossam a rich insight into the cultural origins of Middle Eastern music and became the inspiration for many of his later rhythmic directions. A highly acclaimed master of percussion, Hossam has collaborated with many artists such as The Rolling Stones, Page & Plant, and Peter Gabriel. Amira, originally from Estonia, currently living and working in Las Vegas, NV. She teaches workshops and seminars globally, and has become one of the most frequently requested bellydancers, performing at some of the most prestigious venues in the USA and in Egypt. The Arab community has referred to her as “a true Arabic dancer,” and has commented that she captures the very essence Middle Eastern dance - the feel for the music. Amira’s expression, her interpretation of the music and her body language captivate and mesmerize audiences everywhere. To keep up-to-date with Amira's activities and to learn more about bellydancing, subscribe to our newsletter!